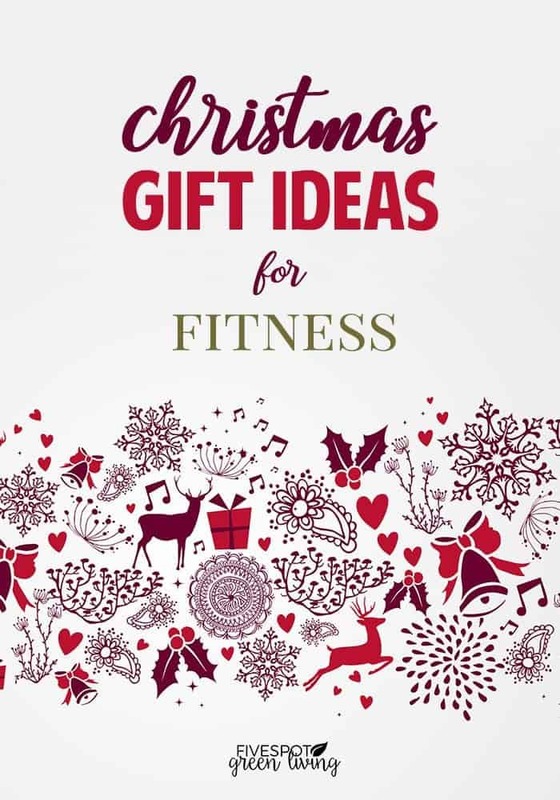 For the fitness enthusiast in your life, the gifts don’t have to be expensive. 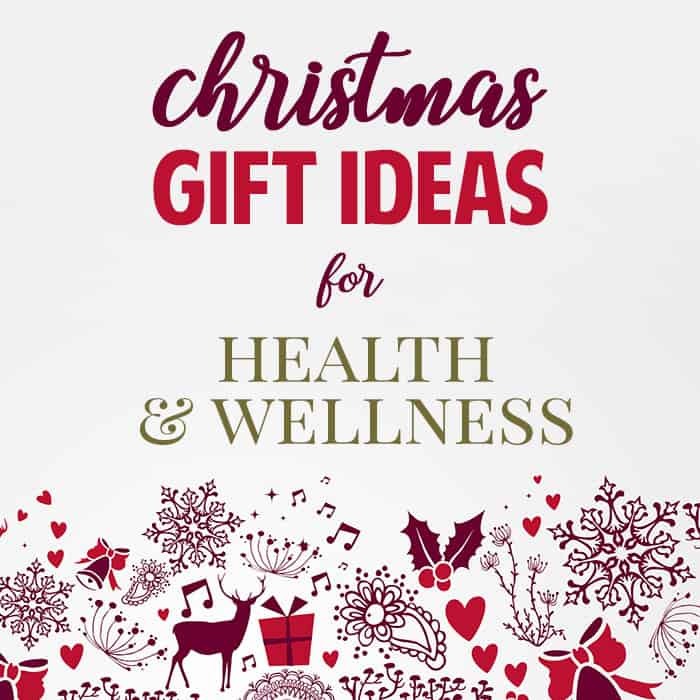 There are actually a lot of Christmas Gift Ideas for fitness to choose from that are less than $25. 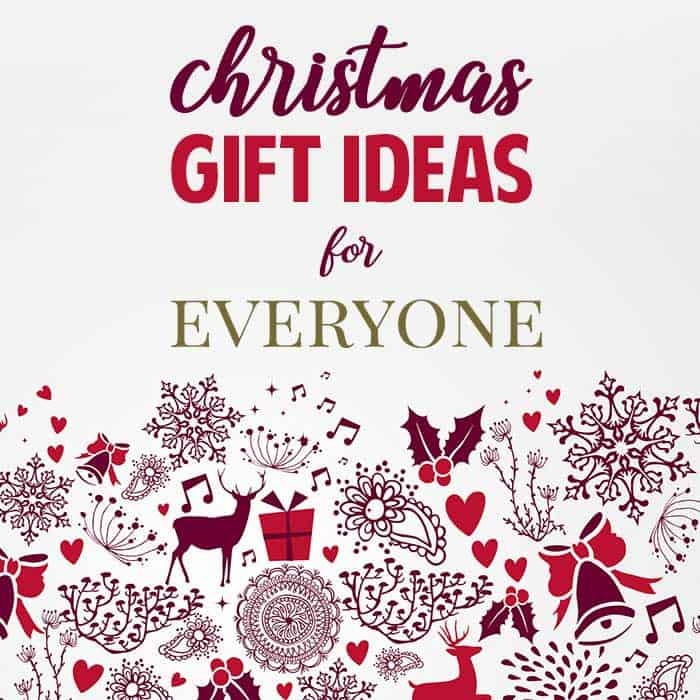 Find Christmas Gift Ideas for Everyone here! This is an excellent piece of fitness equipment that is on the smaller side and is only $10. 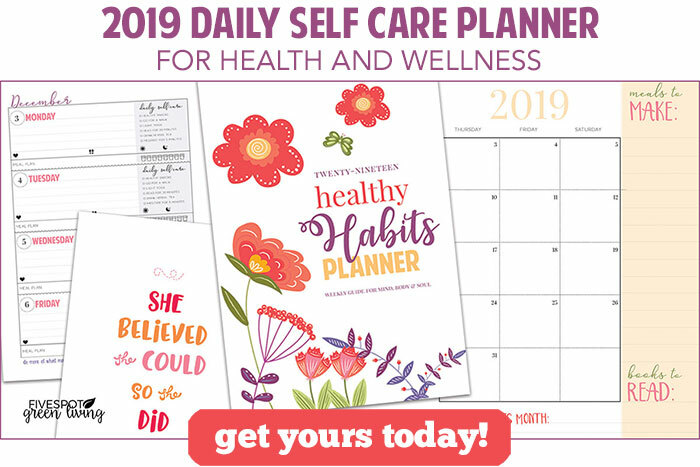 It is perfect when you are looking for a last-minute gift for someone you know enjoys fitness and health, or to add to their big fitness gift basket, since it doesn’t cost a lot. 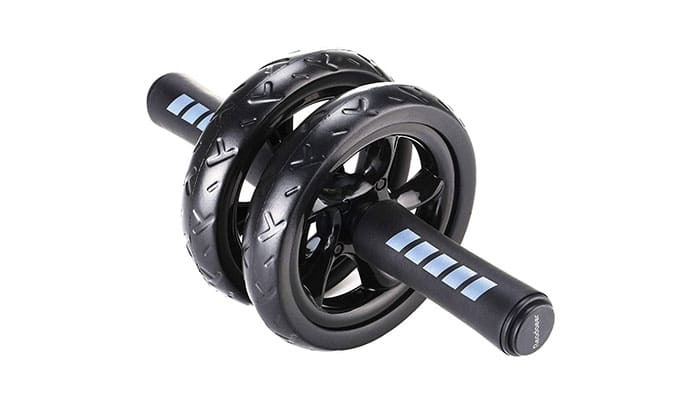 The abdominal exercise roller include a big wheel with handles on either side, so that the individual rolls it forward and back while on the ground for an abdominal exercise. With the roller, they will also receive a knee pad mat. 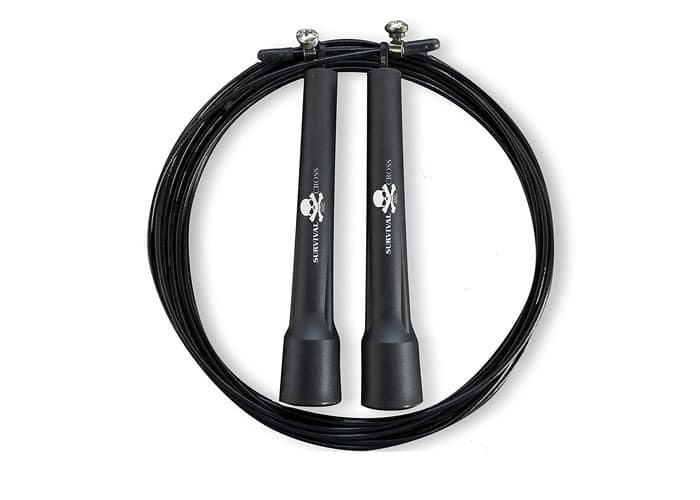 This jump rope is not meant to just be a fun kids activity but is built with sturdy materials for cross training. It is a handy fitness tool that is often used with Crossfit or circuit training, doing jumping jacks in between other exercises. This jump rope from Survival and Cross retails at just $10, is lightweight, and good for a lot of different cardio workouts. It is a good length, but can be adjusted according to the recipient’s needs and their height. It can also be used for conditioning before doing a boxing workout, wrestling, or just high-impact cardio. Resistance bands are another affordable fitness accessory that is a great gift for anyone interested in getting into shape. These Fitness Master resistance bands can be used for P90X, high-impact aerobics, conditioning, cross fit, and many other types of workouts. 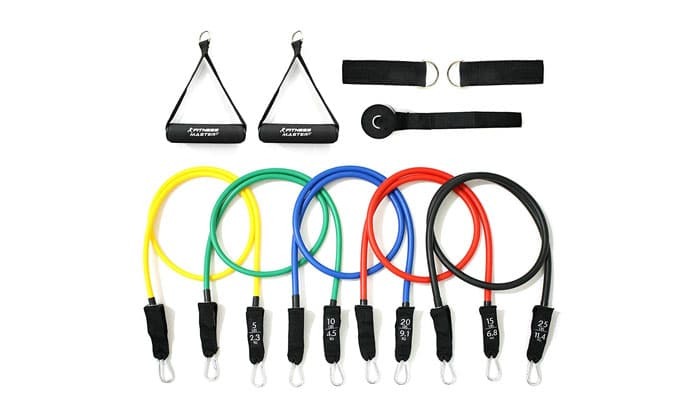 The resistance bands easily roll up and can be placed in the included carrying case for travel purposes. The resistance bands are anti-snap, so they are going to break and harm the person using them. This water bottle is one of the top-rated ones for anyone interested in fitness. It retails at just under $20, is leak-proof and very durable. The water bottle holds 25 ounces of water, which is several cups from the recommended 8-10 glasses a day, which is incredibly convenient. 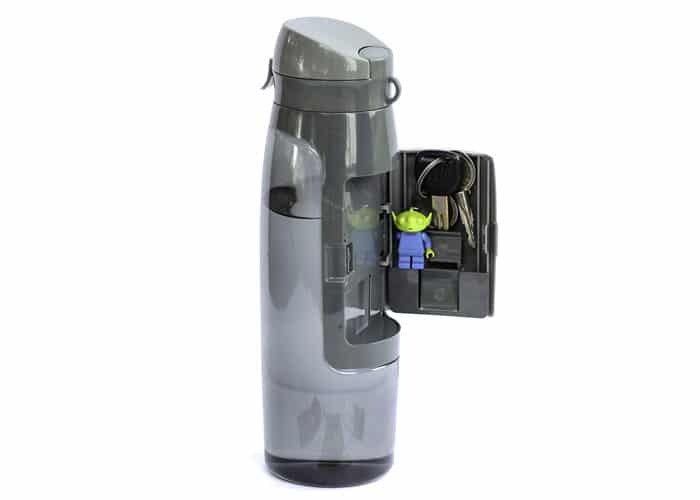 However, it isn’t just the water bottle that is great about it, but the fact that there is a secret component that opens up to hold small items. Someone can head to the gym with just their water bottle, and thanks to the compartment, have their keys, ID, cash, and credit cards right inside.